In the news today we have the latest offering from the Islamic Group – ISIS. Although there are many in our country and government that find that statement offensive, it is indeed a true statement. This group of very evil people has struck again. 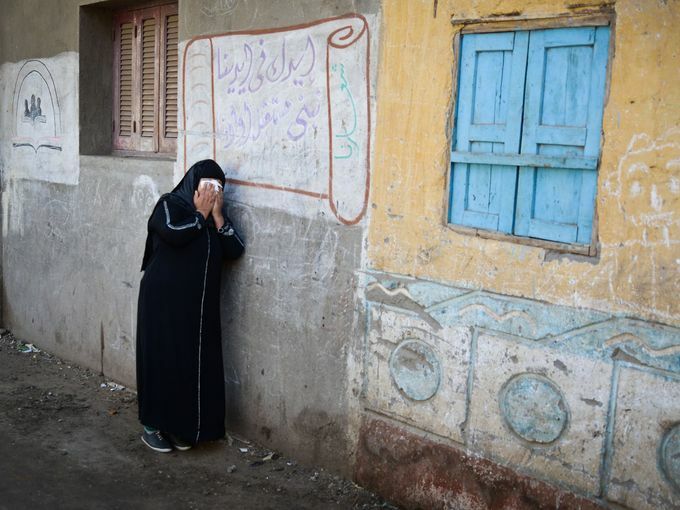 This time the souls that were slain were 21 Egyptian Coptic Christians. That doesn’t make the reality any better but serves to not catch us unawares. As brothers and sisters in Christ we are to be in constant prayer. “Rejoice in hope, be patient in tribulation, be constant in prayer.” Do not be surprised when the major news outlets only label the brothers that were killed as Egyptians and not Christians. They are only acting like the world. The world acting like their father is no surprise at all. For we have no control over anything the enemy does. There is something that we can do and is within our rights as joint-heirs with Christ. We can choose to speak for those that are oppressed. We can choose to not support those that do not support our Christian values. We can choose to turn off the television and not attend the theater that promotes sexual immorality. We can stop complaining and draw our own line in the sand. We can choose to fast and pray. If my people, who are called by my name, will humble themselves and pray and seek my face and turn from their wicked ways, then I will hear from heaven, and I will forgive their sin and will heal their land. We say that the world is only acting like the world and that the Grammy’s worshipping Satan and “50 Shades” are disgusting but the ratings prove that more than just non-christians are participating and watching. If a foundation comes and offers me millions of dollars for the ministry work and I know that the parent company is exploiting women, can I accept the money because it comes from a subsidiary? I say and have said no…maybe you disagree. There is a god in America that is truly worshipped by the majority, and that is the dollar. If Christians truly spoke through their actions instead of the their words maybe things would change. If Christians stopped buying products, attending, reading, watching and supporting/funding the very companies that promote and perpetuate the very things that you know are wrong – these companies would reverse course. Make no mistake about it – a business exists to turn a profit. Christian – do not fool yourself…Woe to those who call evil good and good evil, who put darkness for light and light for darkness, who put bitter for sweet and sweet for bitter! We are warned – O you who turn justice to wormwood and cast down righteousness to the earth! AVOID SUCH PEOPLE…AND THEIR PRODUCTS…MOVIES, BOOKS, FACEBOOK PAGE, ETC. But the end has not yet come. Go through your calendar. Go through your social media accounts. Go through your wallet, checkbooks and bank accounts. What are you spending your time, talent and treasure on? Do you have a right to complain about the world if you are smack dab in the middle of it? Can you spend your money on the same things as the person that does not know Christ and think somehow you are different than they are? I do not write this with joy in my heart but instead tears in my soul. There are too many of us in and out of pulpits that are choosing to remain silent in the face of evil and obvious wrongs. I plead with you Christian…stop saying with your mouth that Jesus is your Lord and living your life like your neighbor that denies His Lordship. It makes your neighbor stumble and solidifies his/her belief that your god is incapable of truly transforming anyone. Beware of false prophets, who come to you in sheep’s clothing but inwardly are ravenous wolves. You will know them by their fruits. Your silence is speaking – it’s just not speaking for Christ.